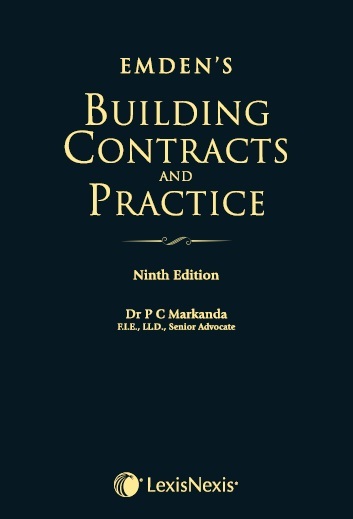 This book is an Indian adaptation of Emden’s Building Contracts and Practice, a renowned treatise on building law, which was first published in the year 1882. It captures the changes in the legal framework of building contracts law over the last three decades in the UK and in India. This edition covers topics relevant to India such as Tenders, Interpretation of Engineering Clauses, Blacklisting and its consequences, Bank Guarantees, Liquidated Damages etc. Apart from this, the book has an exhaustive case law coverage from common law countries such as the US, UK, Australia and South Africa. Encyclopedic in its scope and authoritative in its commentary and analysis, this book considers all key standard construction contracts.